This would be terrifying… I love it. 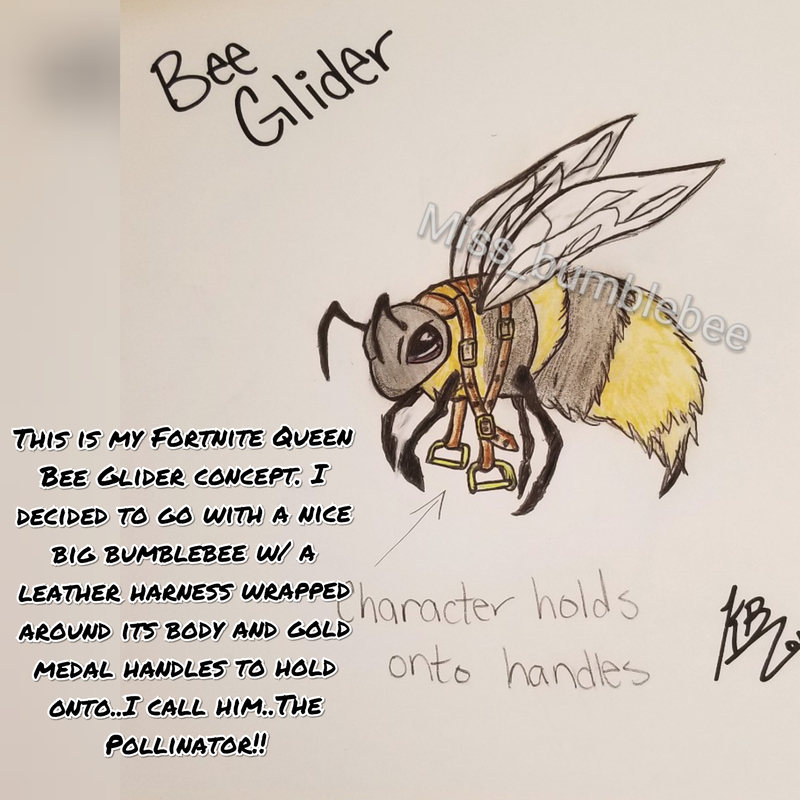 All you need to do is make a post saying “Dear Fortnite, I’m incredibly afraid of bees, please don’t add bees to the game” and voila. Very cool! We just need a skin and pickaxe to complete the set! How many queen bees did you fight? Does it sting my enemies? Make the handles honey comb shaped.